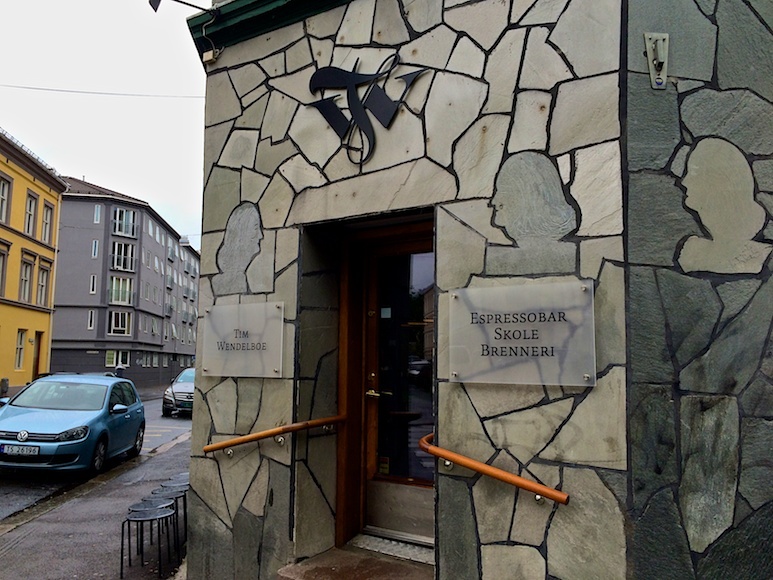 Located on an unassuming street corner in the Grünerløkka neighboorhood, Tim Wendelboe is considered to be not just one of the best coffee houses in Oslo, but in the world. How serious is Tim Wendelboe about coffee? Very. It’s much more than just about a retail coffee outlet. It’s about educating people on coffee, sustainability and social responsibility. It’s about helping coffee farmers in all parts of the world produce a better product and make a good living doing it. Tim has their own channel on Vimeo with some great videos on a variety of these topics. The shop is small and seats about 6-8 people. It also has a small coffee counter where you can fit about three or four more. It’s easiest, to get your coffee to go if the shop is busy. 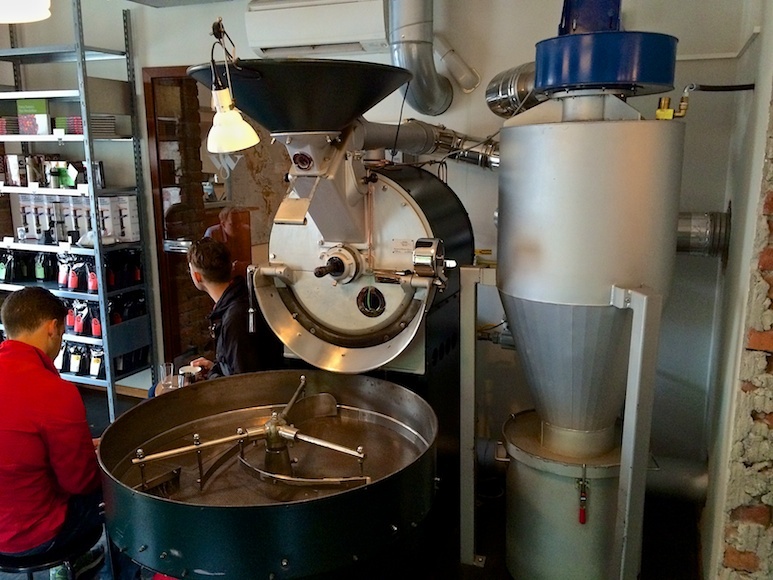 A coffee roaster is located right in the middle of the small shop. Next to the shop, is a small, separate tasting room, where at 1PM on Saturdays, they offer a cupping session for a small number of guests. Due to our schedule, we weren’t able to attend during this visit to Oslo, but you can be sure that we will during our next visit. The espresso here is fantastic. The selection changes from time to time. 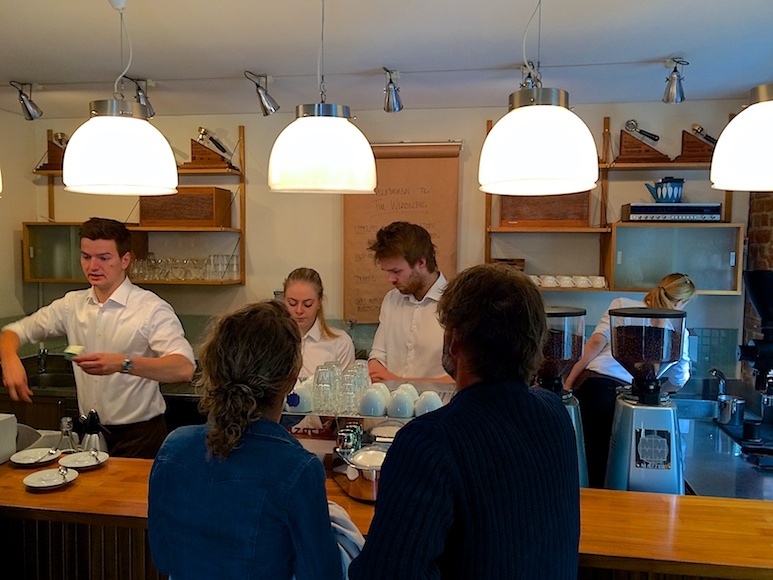 The employees are extremely knowledgeable about the espresso and coffee they serve. You can ask them just about any question and they’ll have the answer. We loved Tim Wedelbhoe and well be back. And yes, their coffee is THAT good.